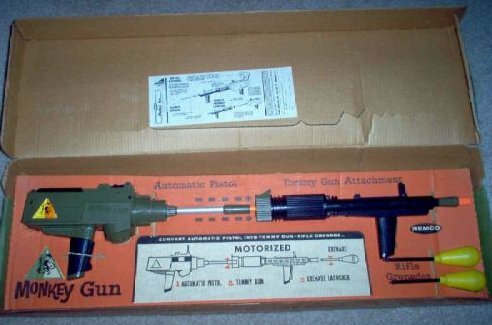 Issued by Remco in 1966. 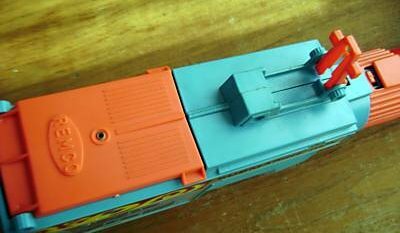 A very rare test market toy that was never released nation-wide. A large 16-26 gun makes four different verisions. 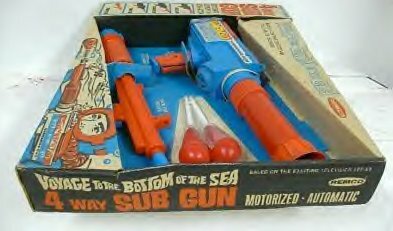 A bazooka gun, a submarine gun, a tommy gun, or a torpedo gun. 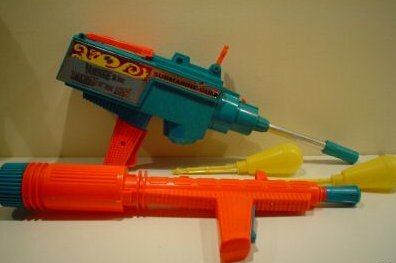 Molded in blue and red, with two projectiles. 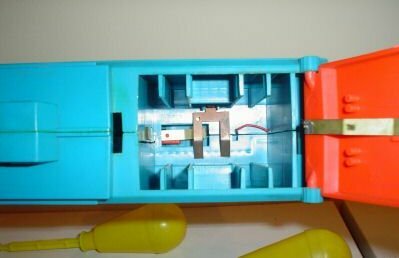 In 8 plus years of collecting, I have only seen two of these on eBay. 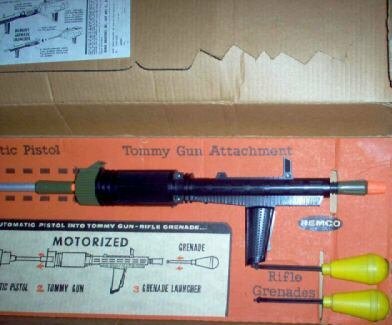 One of the rarest toy's to obtain. Received this e-mail from fan, David Peer on 11/24/04 regarding this item: Many thanks David for the info! 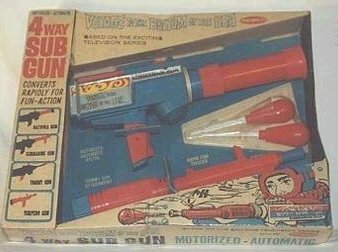 The sub gun is a version of a Remco "Monkey Division" toy from 1964. 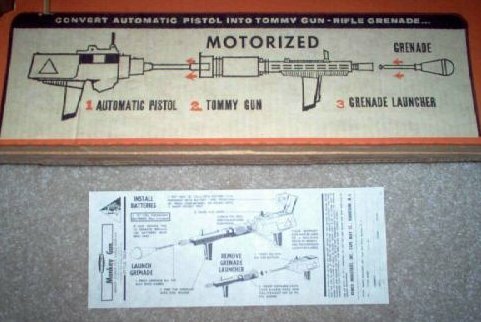 It was originally called the "Monkey Division 3-In-1 Gun". 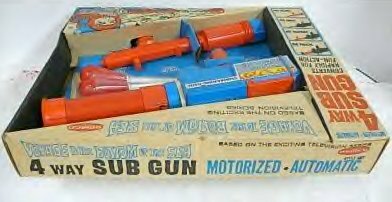 I have not found any photos of the toy online, but if you have the book "Toys of the Sixties, A Pictorial price Guide", by Bill Bruegman (1991, Cap'n Penny Productions, Inc., akron, Ohio), there is a photo on page 67. 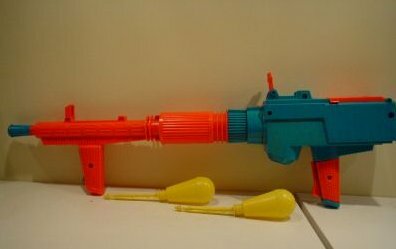 There was also a soft plastic version of the pistol in, I believe a smaler size? 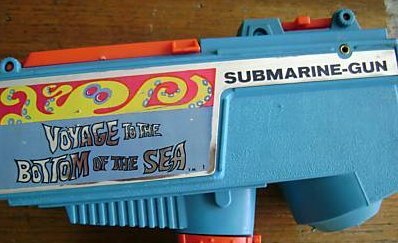 You have a great site, and I have always wanted to see a photo of the Sub Gun, thank you for posting it. 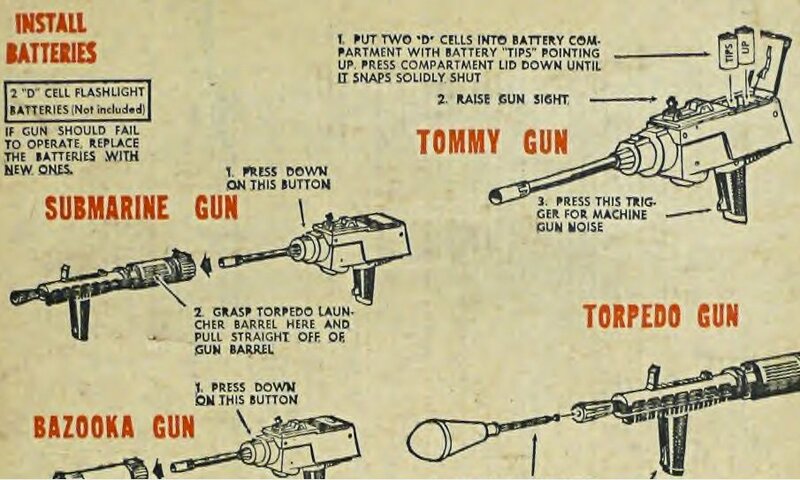 If you can find the "Monkey Division Okinawa Gun", and "Grenade Pistol", those were used to make the laser rifle and pistol for the "Lost In Space" pilot.